Harold is one of my many patients who LOVES ice cream. He has a small bowl after dinner most evenings. Harold is very healthy at age 96, and is normal weight, so I haven’t insisted he drop his ice cream habit. But still... ice cream is not a superfood. Ice cream is unlike any single food that exists out there in nature; it is high in sugar and high in fat. It is no coincidence that ice cream tastes so yummy - that sweet, rich and creamy flavor means it’s loaded with calories. And many of our ancient ancestors died of starvation - so our instincts tell us that ice cream tastes like abundance and life. News Flash! As a 21st century American you are almost certainly not going to die of starvation, and all of those calories in ice cream will likely go to your waistline - exactly where you least need the inches. My advice is to skip the ice cream and instead substitute a small bowl of nuts and berries, perhaps mixed with some unsweetened yogurt. This combo is like ice cream in that it is high in both fat and sugar, but is also loaded with nutrition that will keep you filled up and make you healthy. The fiber and fat in the nuts slow the absorption of the sugar in the berries. 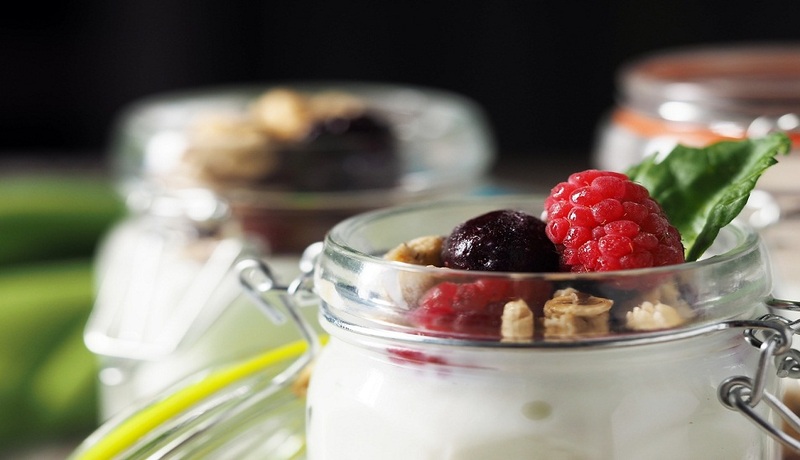 Nuts and berries make a wonderful combination for breakfast, or a snack. I make a point of enjoying this almost every day - you should too.